Lita B, a 48 year old bi-lingual British mother in Garrucha, jumped off a building in Garrucha as her boyfriend was about to be trialled for hitting her. She left a last note on Facebook where she denounced his treatment, and said she had spent her last night “with a bottle, a crowbar and the Guardia Civil’s number”. (British woman in Garrucha jumps off building after leaving note on Facebook). Mindless abuse of women must stop. Period. 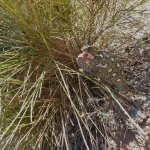 This entry was posted in Blog and tagged Blog, garrucha by David. Bookmark the permalink.